Have you ever seen or read a premium content offer that was so cool that it inspired you to create something similar or even better? Not only are these offers inspiring and memorable, but they are usually great lead generation opportunities for the brands that create them. When visitors see a truly unique, exciting offering, they don’t even think twice about giving their email or phone number and this is crucial to any marketing initiative. Unique premium content offers build brand awareness, pull new contacts into your marketing funnel, and nurture others. If your offer is ridiculously cool it’ll even get people talking and sharing it with their friends. 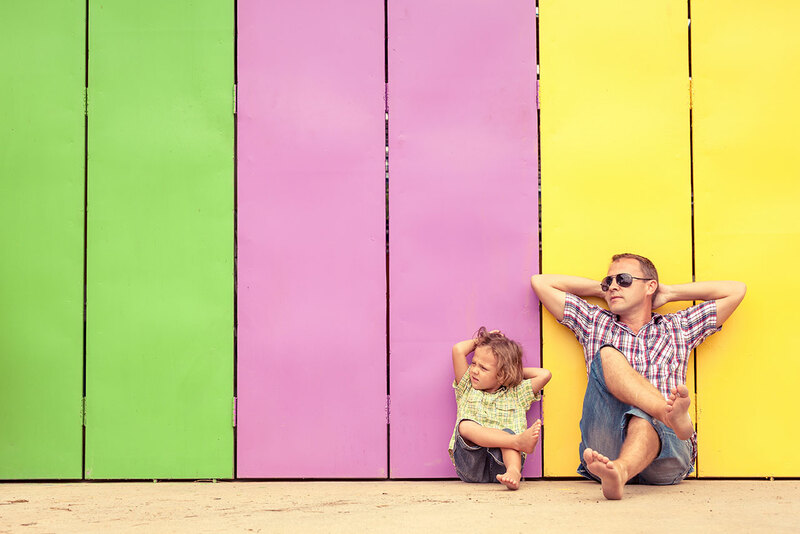 Just check out these 17 that will inspire your next lead generation campaign! Ever wondered if you were related to one of history’s greats or maybe even a celebrity? Ancestory.com taps into this curiosity with this unique offer. In this Facebook Ad, the online company pulls in a new audience with a unique proposition and builds awareness of its greater product/service. 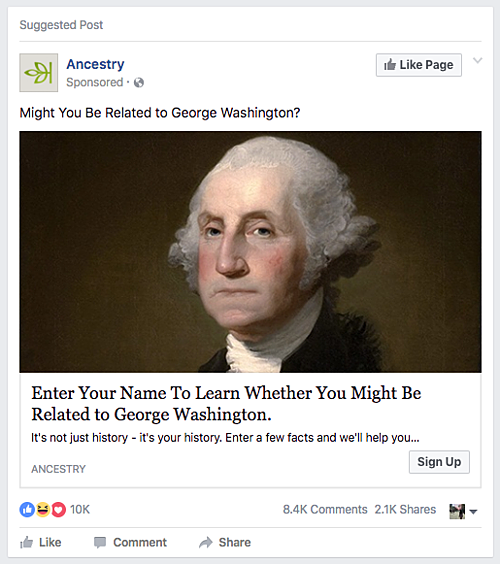 Their phrasing on this ad is enticing, simple, and doesn’t make it seem like a lot of effort is required to uncover “your history.” I clicked it! While this campaign is no longer running, when it was, it was ridiculously cool. With the Interesting Index, you simply connected your Facebook account then the beer brand “analyzed” your profile and found how how interesting you were compared to your friends. What’s really great about this one is that users did almost all of their campaign marketing for them. In order to see how you compared to others you needed your friends to sign up, which led to more and more people joining. The title of this eBook is what really captured me. 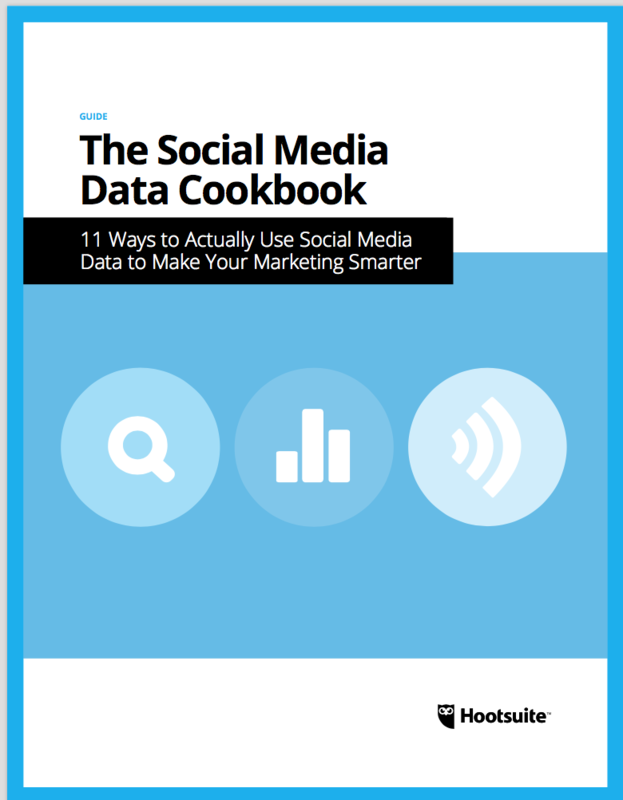 Its unique use of language makes Hootsuite stand out against the many other social media eBooks out there. Once you go to download the offer they continue to show you how the data is different from all the rest all while using cooking terminology. Using phrases and terms not specific to your industry (but also not confusing) is great way to differentiate yourself in a crowded industry. Buzzfeed quizzes are all the rage (at least in our office) and lucky for your business, some are now sponsored. 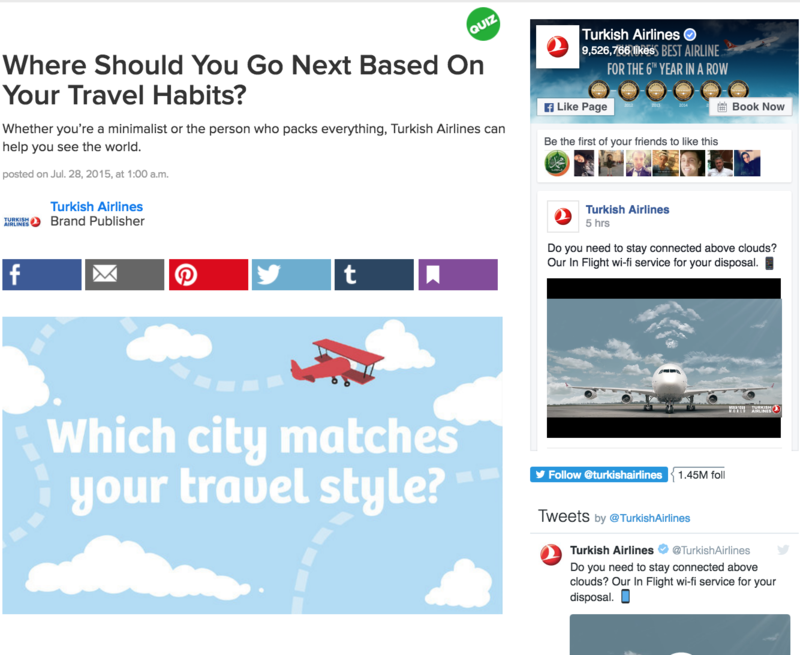 Turkish Airlines took advantage of this by creating a travel quiz that helped you determine where you should travel next. As you fill out questions a sidebar calls-to-action follows you down the screen promoting you to book your trip now. Once you get your results you’re easily linked directly to booking a flight to whatever city you got. Are you going on a vacation in the near future? Leave all your business colleagues a treat with Spotify's Out Of Office Playlists. You give the music streaming software your location, work email, and anything else you need in your OOO message and they build you a custom playlist based on where you’re traveling. Once your OOO is sent, users have the option to follow along with your playlist, encouraging them to sign up for Spotify themselves. Creating something as extensive as your annual marketing plan can seem like a daunting task, so HubSpot made it easy for you. They created an offer that not only gives you a plan to follow, but also takes everything about your company, goals, and metrics into consideration. You’ll be able to create a strong plan that prioritizes your marketing efforts for the upcoming year in half the time! Rebox really speak to the heart with this campaign, inspiring you to take full advantage of the days by taking care of your body both physically and mentally. In it, they share a video showing the average Human Lifespan (25,915 days) and how fleeting it can really be. After watching the video, you’re able to calculate how many days you have left. If your industry fits consider making a campaign that’s really personal and inspiring to capture some more qualified leads. Sometimes finding industry standards for certain niche aspects can be difficult to find. 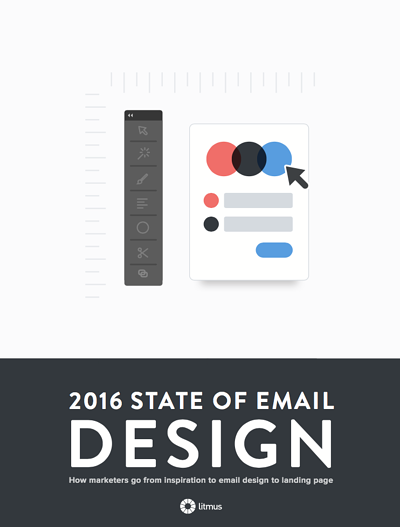 Litmus lays out everything that has to do with email design within their eBook, encouraging you to use these results to set your own benchmarks. Not only does Litmus make sure to fill the eBook with great stats and information, the design throughout flows nicely with the content making it both extremely informative and visually appealing. Ready to hear what’s wrong with your website? 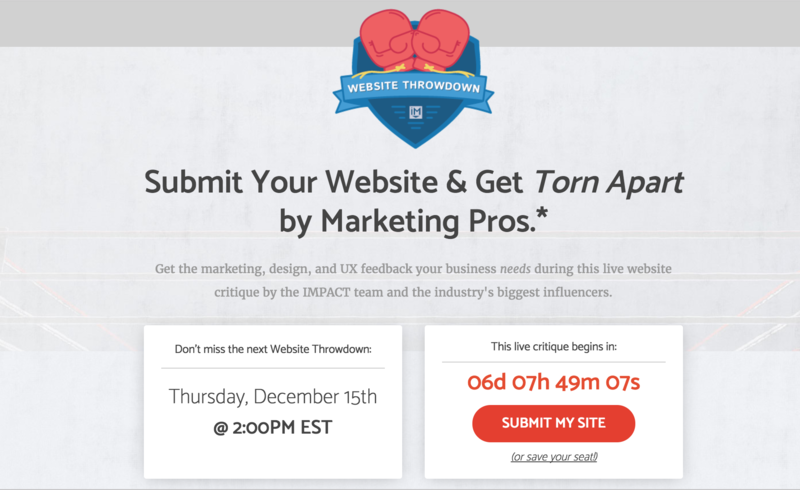 IMPACT’s own Website Throwdown gives you the opportunity to get your site evaluated by some of our best! During the live website critique, our CEO, Bob Ruffolo, CTO, Tom DiScipio, and another industry expert go through a number of websites to let them know honestly what works and what doesn’t. Hearing some things you may have missed when creating your website forces you to rethink what you’ve been doing maybe even forces you to consider building a whole new website. Our next Throwdown is Next Thursday, December 15th with ConversionXL’s Peep Laja! Don’t miss it. 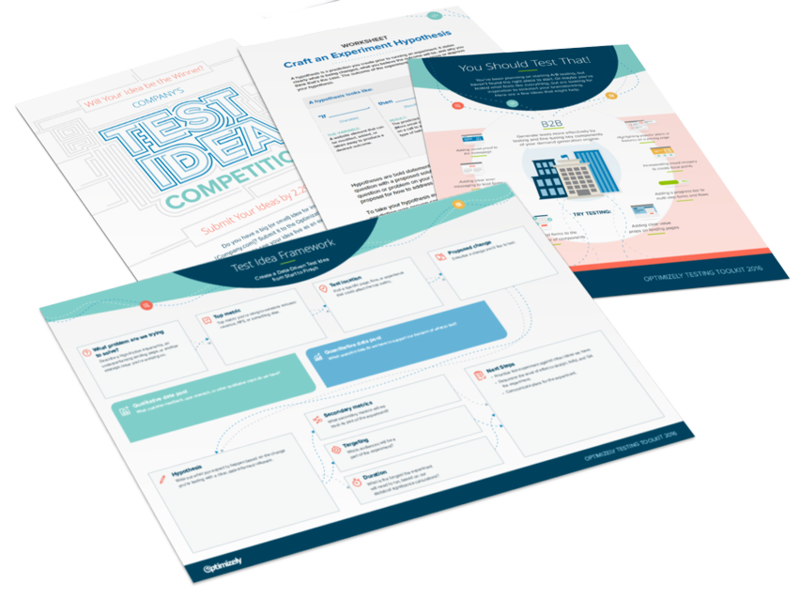 In the 2016 Testing Toolkit, Optimizely gives you everything you need to evaluate your business. They don’t just focus on one aspect of testing, rather giving you a whole toolkit to test multiple aspects and collects it in a well-designed package. Creating a toolkit like this allowed them tp create more value for their audience and paint a picture of the greater impact of their landing page optimization business. You may know that you need new furniture for your home, but what style works best for your personal taste and home layout? 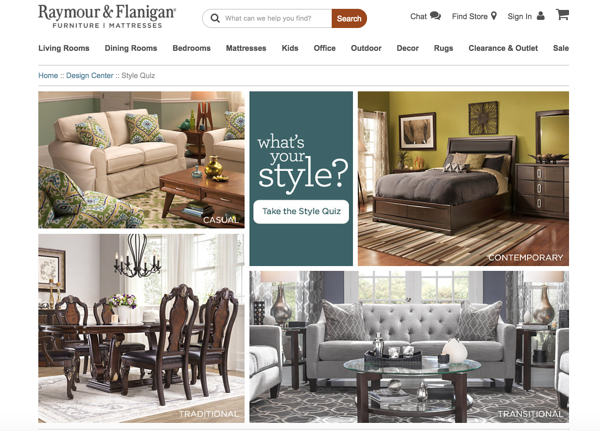 Raymour and Flanigan brings you through a quiz that tests what visually appeals to your taste. Once you finish, you’re led to the different style sections on their site that fits with your results, encouraging you to buy right then and there. Sometimes one ebook just isn’t enough to gather all the information you need to create the best landing page. 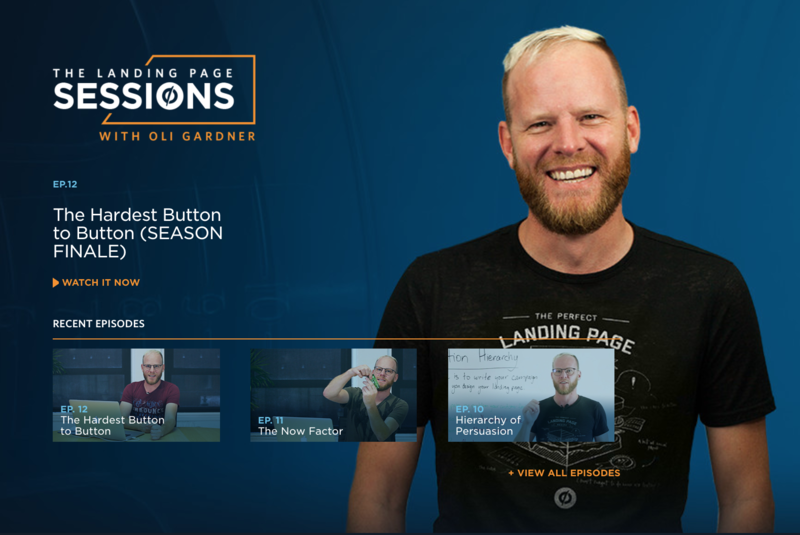 Unbounce’s Landing Page Sessions walks you through not only how to create landing pages, but any new important information pertaining to a marketing campaign. New episodes come out frequently and you receive an email once a new one is available. eBook bundles are great for getting all of the information in one easy download. 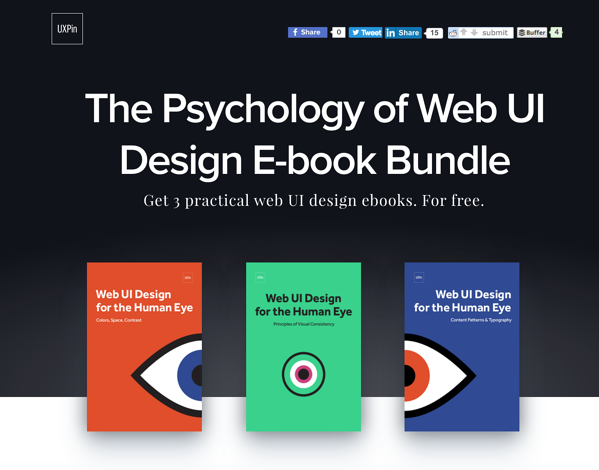 UXpin created multiple eBooks that relate to the psychology of web design and grouped them into one bundle. Since this offer is so valuable visitors are willing to submit more information than they would with a typical eBook offer. If you have a group of offers that all relate consider creating a bundle to gather more lead information. The decision to move into a senior living home isn’t easy. How do you know when you should move your loved one into a community? 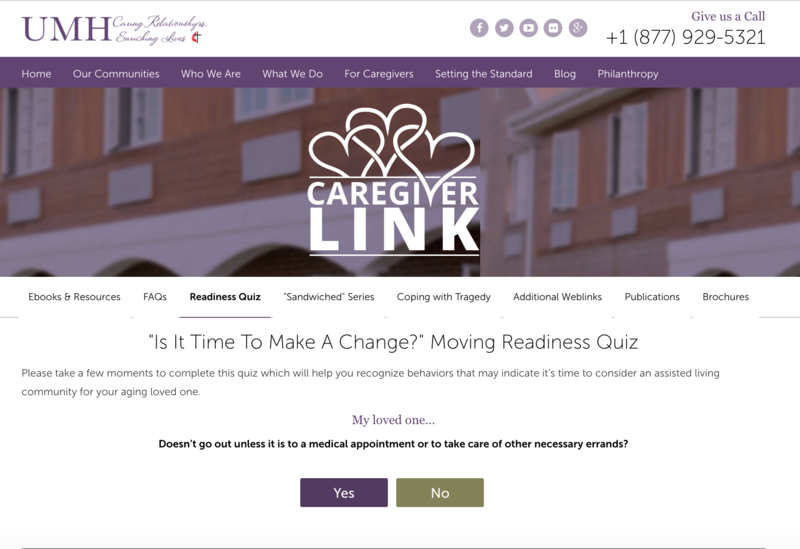 IMPACT Client, UMH’s Senior Readiness quiz asks unique questions specific to the organization’s personas, allowing them to see if it’s time to move into a senior living community. Once you complete the quiz and a sense of urgency is created, you’re given the option to schedule a tour of UMH’s community. Wistia has taken everything that they do well and put it into short videos that explain their process. These videos are able to show visitors exactly what needs to be done and also gives a face to the company. Wistia covers a variety of topics ranging from Strategy to Video Production meaning there’s something for all of their personas to watch. At the end of each video’s blog content you’re shown a CTA for a download the corresponds to the video you just watched. 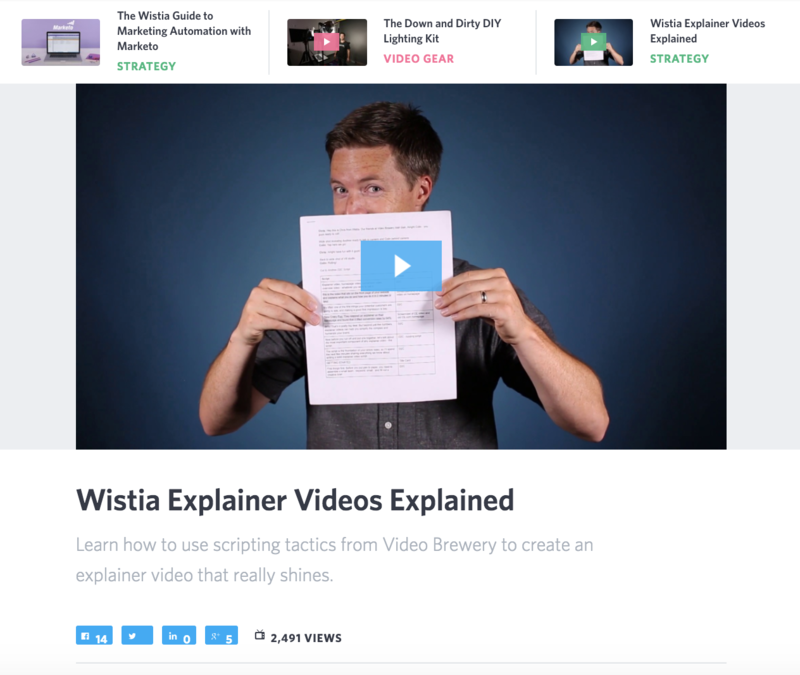 Wistia is showing you exactly what you need to do in the videos and then providing you with the tools to take action. Stitch Fix has created an easy way for busy fashionistas to shop. Visitors have to take a quick quiz to determine their style, size, and budget. Once they complete the quiz, they get an overview of the type of style box they can expect. If users like what they see, they can sign up for their first box right at the end of the quiz. Since the users are shown real examples of exactly what they’ll be getting, they’re more likely to sign up even for a month trial. Chipotle took their online marketing to a whole new level of fun with this game. The fast food chain created a matching game that gives users the ability to have fun while also scoring a free “buy one, get one” coupon if they enter their phone number. Adding a game or another interactive element for your visitors can increase your lead generation ten fold in a fun way. This was definitely a clever way for Chipotle to bounce back after their E. coli scares. While some of these offers are unique to the industry there are aspects of each you can use for your own company. Take inspiration from them and add a little something extra to your next lead generation campaign! Now that you’ve seen (maybe even tried) a couple company’s ridiculously cool offers, how can you use them to inspire your own campaign? What do you think of the ones shared? Let us know in the comments below!